Sara has many years of experience working with children having worked as a Teaching assistant and working with us originally in 2004. Sara has specific responsibility for co-ordinating care for any “looked after children” within Pre-School. Sara worked in the Village Hall as a Room supervisor, then became our SENCo Co-Ordinator and since being in our new building has been in her current role as Team Leader. Sarah has been part of the team since January 2011. Sarah is our Health and Safety Co-Ordinator. Since her employment Sarah has obtained her NVQ Level 2 as well as her CACHE Level 3. Sarah has attended Phonics Training and Food Safety Training. Sue is our SENco Co-ordinator. Sue joined us in 2009 and completed her NVQ level 3 in July 2011. She then undertook her Special Education Needs Training in October of the same year. Alison was a parent helper before she applied for the position of Pre-School Assistant in 2005. Since joining the team Alison has taken on various positions including our Forest School leader. Natalie has been part of the team since 2010. Natalie was our treasurer on a voluntary basis and then joined as Book Keeper in 2012. Natalie has many years of book keeping experience and trained in Paediatric First Aid. Parjinder joined us in March 2014 as cover staff and has quickly become an invaluable member of the team. Parjinder will be off on Maternity leave in October. Charlie volunteered as the Pre-School Chairperson for four years before becoming Manager in October 2014. Charlie will be taking part in First Aid training next year. Equality and Inclusion in Health, Social Care and Children’s and Young People’s settings. Shelby joined our Preschool in 2009 and has been a Team Leader since 2012. Shelby has led the Pre-School through its Reflecting on Quality process and will soon be taking the lead on the next stage of our Continuous Improvement Scheme. Zoe has been part of our team since 2008 when she ran our Toddler group at Barton Village hall on a voluntary basis. Zoe became a Pre-School Assistant in 2009. Zoe has a vital position supporting Sue in her SENCo role and is training for her own SENCo certification next year. 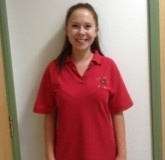 Helen has volunteered as a Parent Helper at Pre-School and previously been part of the committee. Helen was employed by Pre-School in March 2011. Helen is our Safeguarding Lead. Dawn originally started at Pre-School as temporary cover staff and has recently been employed as Pre-School Assistant. Dawn has three children of her own and brings plenty of experience to pre-school. Dawn is hoping to undertake her Level 2 qualification this year. Debbie joined us as Cover Staff in April 2014. Debbie was previously on the committee and is now a valuable member of the team. Debbie will be taking part in Safeguarding training next year. Rachel was employed as our Administrator shortly after we moved in to our new building. She joined the team in 2011 and since then has taken over the administration of our waiting list in addition to the regular administration role. Beth came here for her work experience and because of her enthusiasm and passion she has now joined the team as an apprentice. Beth is currrently undertaking her Apprentice Training Programme.